Red2120's Club Penguin Cheats, Secrets, And Give Aways! : Coins For Change Is Almost Over!! ~ Keep Donating! Coins For Change Is Almost Over!! ~ Keep Donating! Hey guys! 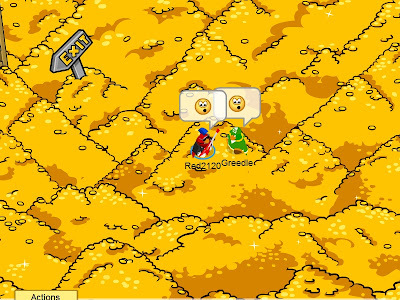 Me & Greedle here, we are just going to talk to you about Coins For Change! How do you guys think its going this year? Do you think we broke a record? I think we did! But as you know, coins for change is still going! This means we still have time to change the world even more than we already have! Plus we can set the record even higher! Here are ways Me (Red2120) and Greedle are helping out with coins for change! Red2120 made a cool Coins for Change Igloo! Greedle is donating 5000 Coins a day to every cause! Me and him both wonder if the light house can get any more full than it already is! According to the news paper, it looks like that could be possible. But we are not sure if it will happen! 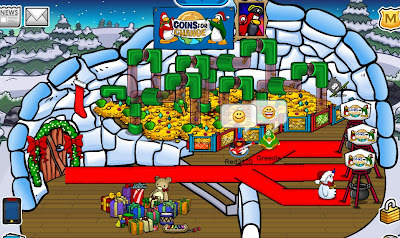 The light house is getting so full, that we might need penguins to help keep all the coins in! Awesome work everyone! Keep donating while you can! ~Keep checking back for more Coins for change news + Club Penguin news!